Happy Thursday! It is a warm and breezy start to the day, and this warmth will last for a while. 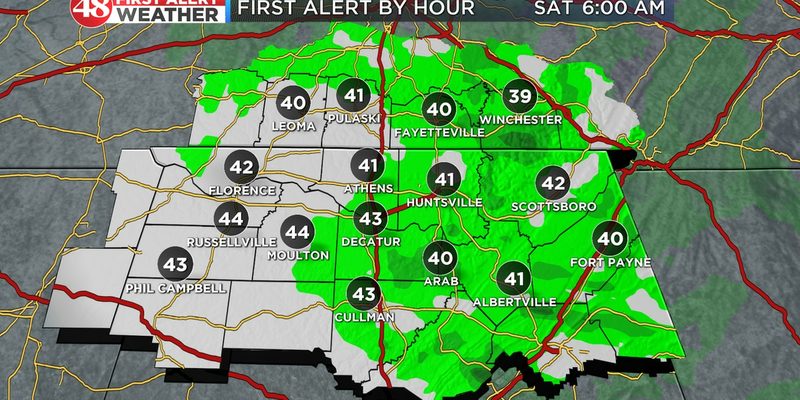 We have a First Alert out for Saturday and Sunday this Palm Sunday weekend. 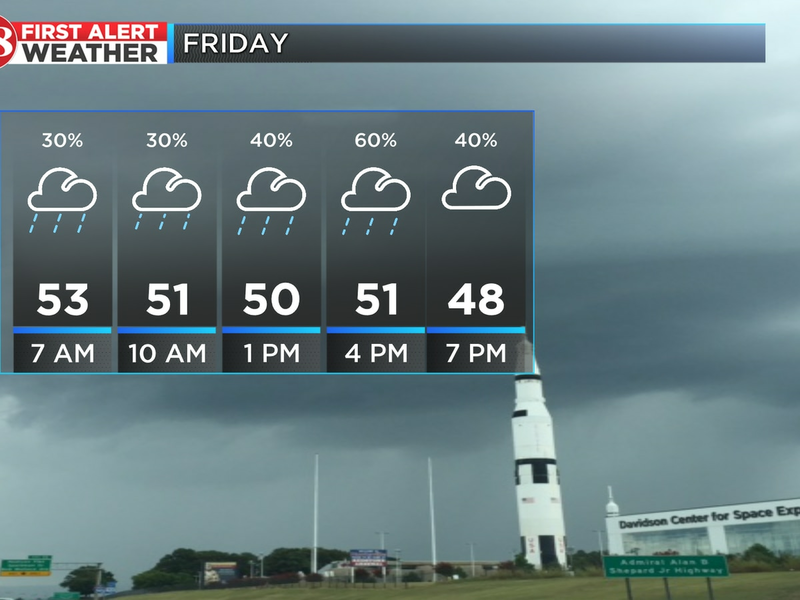 It is looking like widespread rain and storms could develop late Saturday afternoon and evening along a warm front. This will shift north into Sunday morning. Strong to severe storms would be possible as we move into the overnight hours Saturday into Sunday given the forecast setup. Damaging winds and heavy rain would be the primary threats, but there is also a chance for large hail & tornadoes. With this event being overnight, make sure your action plan includes multiple ways to receive weather warnings and critical information: NOAA Weather Radio, WAFF First Alert WX App and television are a few. Leading up to the weekend our warming trend will continue. Today will be a very warm and breezy day as afternoon highs will climb into the low 80s. Wind gusts today could peak around 30 to 35 mph. Overnight tonight we will see increasing clouds ahead of a weakening line of storms which could bring a few showers and storms for the Friday morning commute. Gusty winds are possible as well. We expect clouds to clear up a little bit by the afternoon with some sun and highs in the middle 70s Friday. Stay tuned for more details regarding this weekend weather threat.